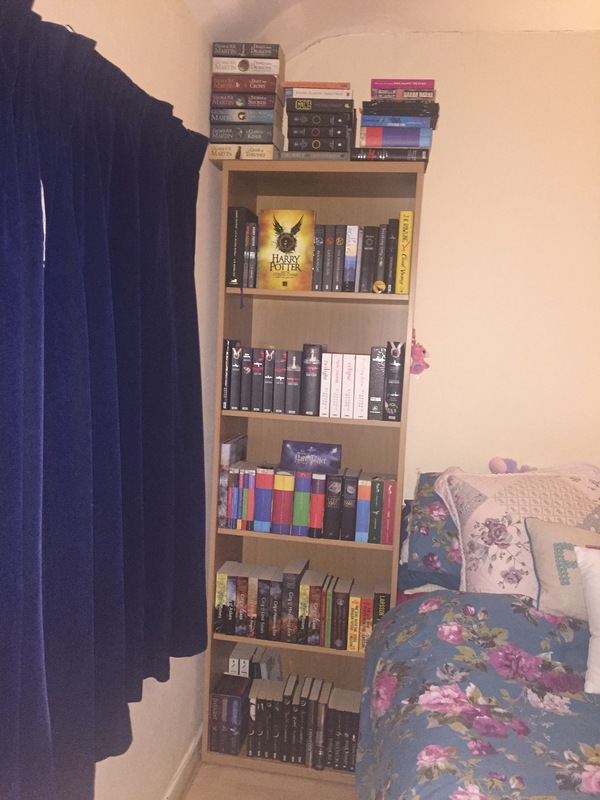 …and the best part (other than spending time with Jode, my flat mate again) is having FOUR, oh yeah FOUR bookshelves. I love the way you use all the available space. I do the same, books stacked flat = more books, win win. I also sort by genre and all same author together. Series must be in order too. The rest of the house is untidy but I can always find whichever book I want straight away. I’m moving in September and in seriously excited about all of the bookcases I can buy. Really want one of those ladder ones! I really love your shelves so many good books! You desperately require more books! I suggest Amazon right now! In a day or two you could cover all that wasted floor space! Love your book collections! The series shelf is awesome. Twilight series, does it look like you have more than one book of the same title? I’m incredibly envious of all of your shelf space. I just moved today to a new flat and not only are they all full, but there are no spare shelves. I will be in the charity shops every day! You have a lot of books! on an average how many books do you read in a month? 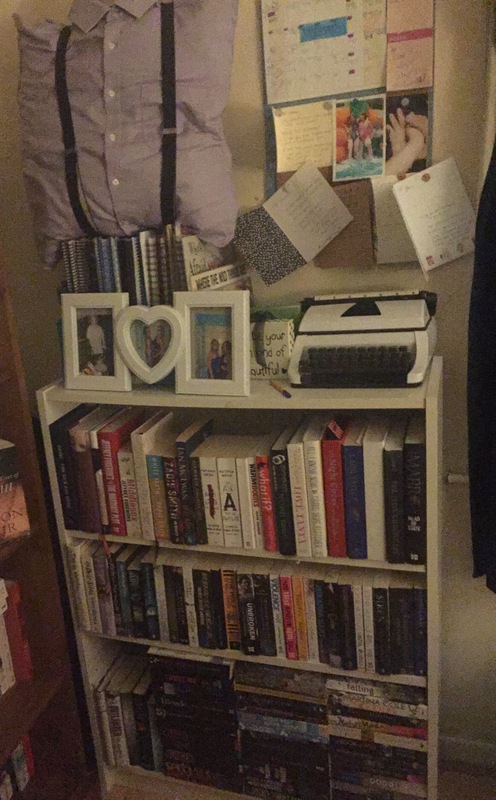 You have bookshelf goals! I am so jealous, especially because you have a lot more books than me (or at least it looks like you do). I currently have about 250. Plus your series, and I seem to have a lot more random stand alones, because I get a lot of my books from charity shops. Hope you settle in nicely, have a lovely day/night – depending on when you’re reading this! Reblogged this on Purple Pen Book Reviews. We’re a family who love reading so our bookshelves groan under the weight of books and more books. They had a good beginning and that meant neat and ordered shelves and books in series of genre, author et al. When it finally came to finding space for more books, (confession here) the neatness went out the window and the piles grew above the bookcase and all the way to the ceiling. Our problem is that we LOVE our books and cannot part with them and yes, we have a number that have the author’s signature. Wow, your book collection is amazing! Mine is currently hiding away in my shelved cupboard. Waiting on shelves to put on my wall. So i can show them all off! Great post!